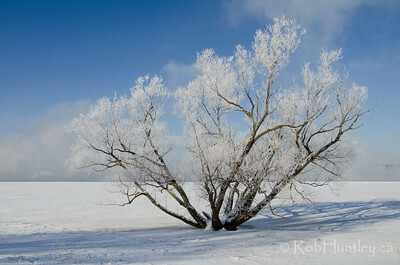 I contribute photography, both aerial and on-the-ground images, as a volunteer with Ottawa Riverkeeper. 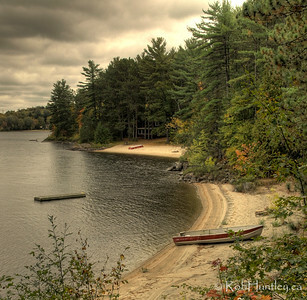 More information regarding the Ottawa Riverkeeper can be found at ottawariverkeeper.ca. 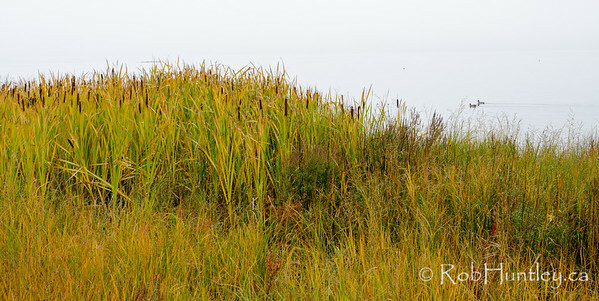 See also my many Kite Aerial Photography Galleries. 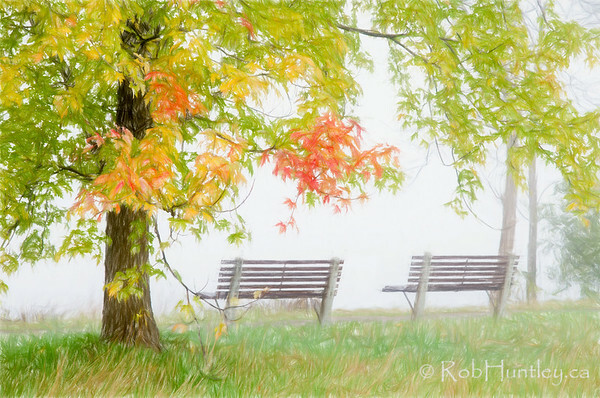 Riverside Benches in the Mist. 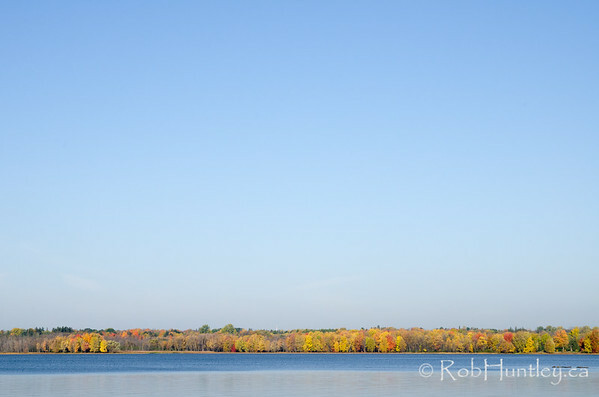 Fall colours beside benches facing towards the Ottawa River. 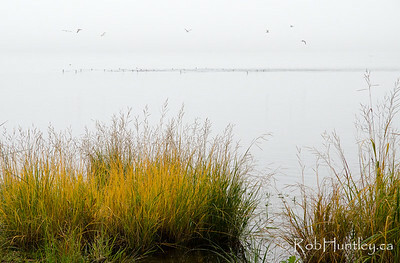 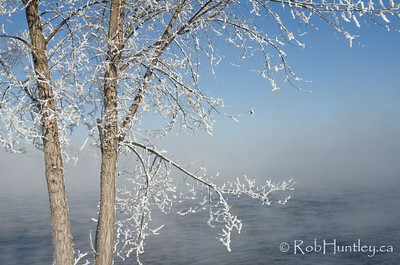 The river is shrouded in fog and despite there being little to see, it is worth looking. 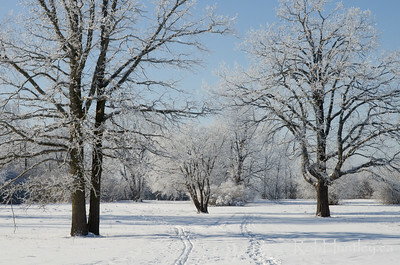 Beautiful morning. 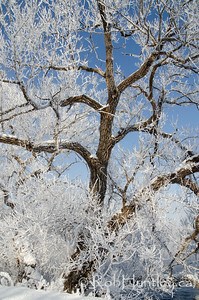 Tree by the River Covered with Hoar Frost. 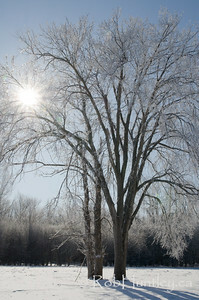 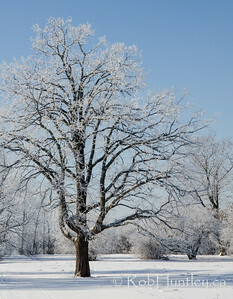 Large Tree with Hoar Frost. 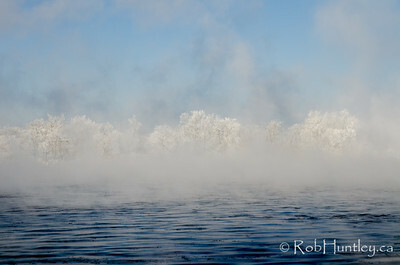 Remic Rapids. 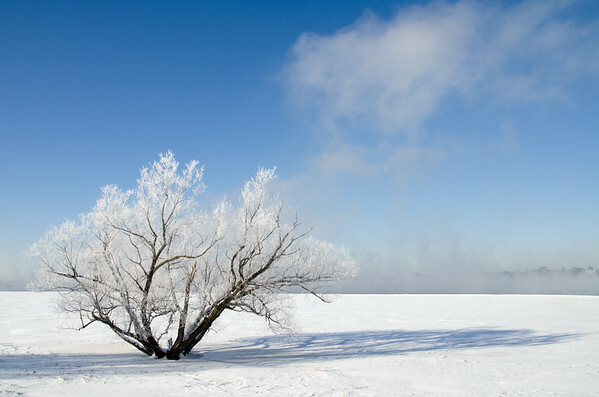 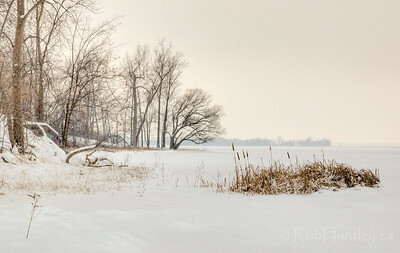 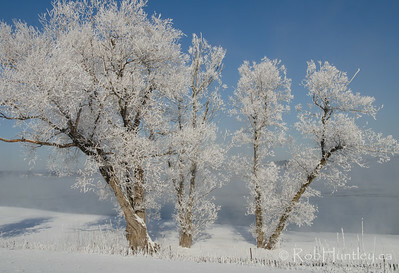 A cold morning near the Ottawa River with hoar frost on the trees and fog in the air originating from the unfrozen rapids nearby. 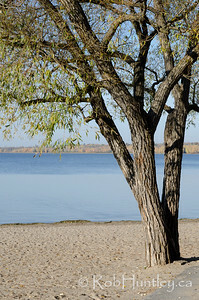 Quebec Shoreline of the Ottawa River in the Fall.